At Proof Drinks, we pride ourselves on working with the most forward-thinking brands. Cazcabel is no exception, and we’ve been working hard for a while on a new bottle design to match the top-quality liquid. We’re pleased to have finally launched the upgrade! Inspired by elements of the core branding, the bottle is now an attractive custom embossed glass mould. We took the stunning traditional Mexican-inspired pattern from the Cazcabel label and have replicated this onto the physical glass of the bottle. It also has a taller, thinner structure and an extended lip on the bottle neck, so it’s completely bartender friendly. Cazcabel Tequila have experienced amazing year on year sales growth since launching in 2014. Recently, they have experienced particular success in the export markets, including The Netherlands, Germany, South Africa, Australia and Canada. 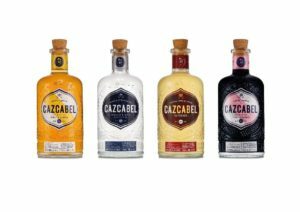 Cazcabel also received outstanding recognition in The Spirits Business Tequila Masters 2019, when they took home three Gold awards for the range. The new bottles will start appearing in trade over the next 4-6 weeks.